A Michigan school has opened a robotics center — "the best in the area," according to board documents. 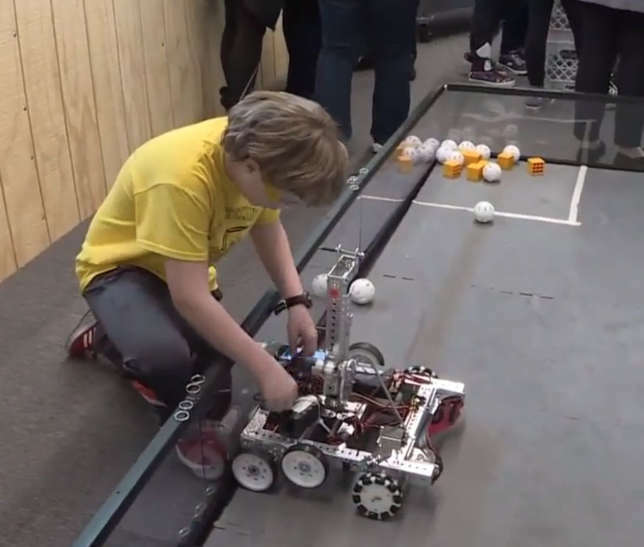 The project began last fall at Mason Public Schools, when a proposal was put forth to convert an underused space in the high school, to allow students to learn about robotics and participate in competitions. The board of education approved the plan in November, and remodeling on the space began immediately. Improvements and renovations (bid at $265,500) were covered by general and sinking fund dollars, as well as donations from local businesses. The new center features fabrication equipment and a full-sized FIRST Robotics field for practice. Among the users will be regional robotics teams, the high school's own robotics club (the "Tractor Technicians"), the middle school robotics club ("Tractor Technicians in Training") and various elementary-level groups. 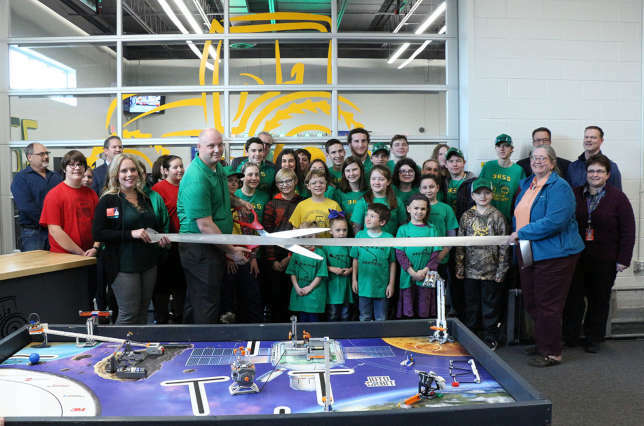 "Mason is a leader in Robotics and this new space will further enhance our offerings for students," said Superintendent Ronald Drzewicki, in a statement. "We are grateful for the continuing support of our community." "In this room, we'll actually be able to allow our students to do milling, run a lathe, practice in a full set-up [and] do our general assemblies," noted Ben Shoemaker, high school teacher and FIRST robotics mentor, in a news broadcast. "And all the way down to our elementary kids, [who] will be able to do LEGO contests and our high school kids can work with them as well."